You probably want to delete photos from your iPhone but still be able to keep them in iCloud when iCloud Photo Library is enabled. You’re not alone. There are many reasons why people do that. Sometimes people just want to create more empty space on their iPhone for more speed, but they don’t necessarily want to lose all their photos. Sometimes people just want to save old photos exclusively to iCloud to make room for new photos. And sometimes it’s because they just don’t want their pictures scattered all across various devices. However, it is very often the case that you can’t delete your photos off your iPhone with iCloud Photo Library enabled. Why does this happen? It depends on the settings of iCloud Photo Library enabled. You may either delete photos from iPhone and iCloud or fail to delete any photos from iPhone and iCloud. There is a pairing between your iPhone and your iCloud that you need to disable so that you can get them to acct independently of each other. Basically, the original photos are stored, not on your iPhone, but in your iCloud. So, if your “Download and Keep Original” toggle is on in your iCloud Photo Library, then the photos that you delete in your iPhone will also be automatically deleted in your iCloud. 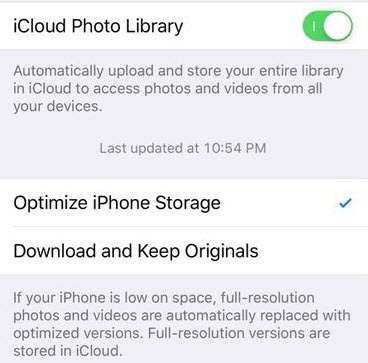 In addition, if your “Optimize Phone Storage” has been selected, then it becomes completely impossible to delete photos from either your iPhone or your iCloud. Is there a workaround? 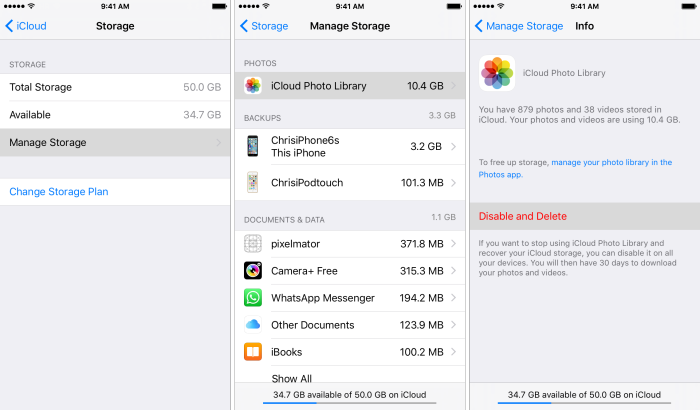 Can you still delete photos only from your iPhone without deleting from iCloud Photo Library? Yes, there is. Just in case you’re having problems with the basic ways, there’s an easier way to delete your photos off your iPhone while still keeping the original copies. 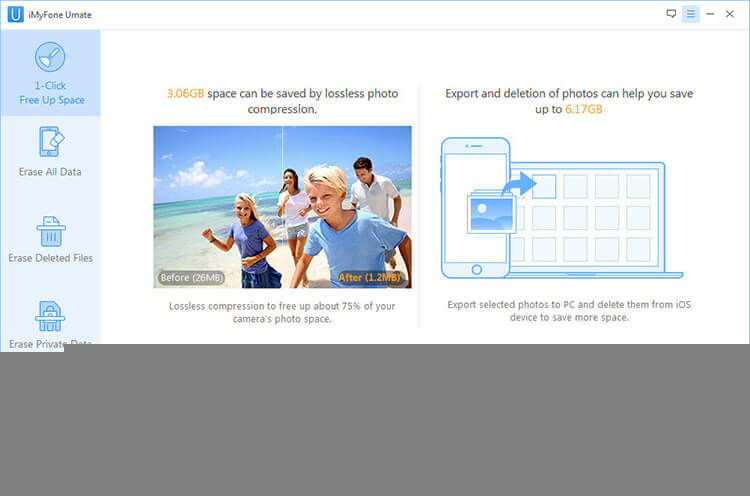 This easier way removes all restrictions experienced with deleting photos from iPhone. You can use the iMyFone Umate Pro Win or Mac to simply backup and delete your photos off your iPhone only. Actually, there is no permanent way to delete photos from iPhone without deleting from iCloud. 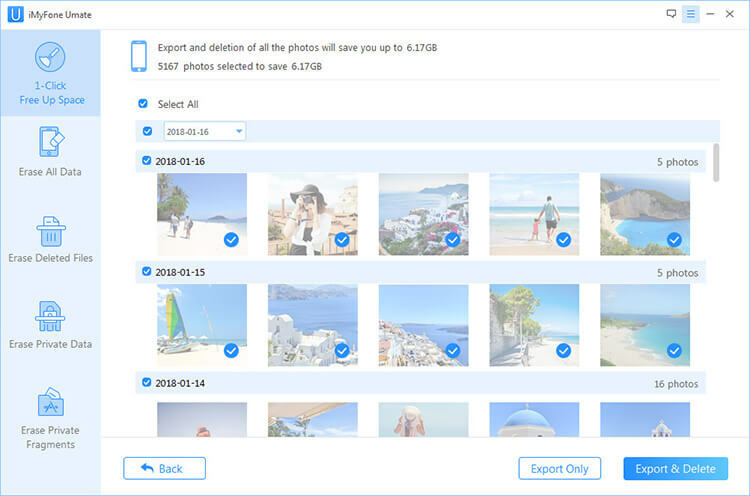 With Umate Pro, it creates photo backup before deleting. You don’t bear the worries of losing your photos. Support also third-party app photos, like WeChat, WhatsApp, Viber, Line, Kik, etc. Launch iMyFone Umate Pro on your PC or Mac and connect your iPhone. On the home interface, click on Photos. Choose all the photos you wish to perform the action on, and click on Backup & Delete to continue with the function. Follow these steps to learn how to disable the iCloud photo library. Go to Settings in your iPhone and tap on your name. Tap iCloud, then tap Photos. Under the photos tab, slide the switch to turn off your iCloud Photo Library. If you want to disable your iCloud Photos Library on all your devices, go to Settings > Your Name > iCloud > iCloud Storage > Manage Storage > iCloud Photo Library > Disable > Delete. An alternative option is to sign out of your iCloud account before you delete the photos on your iPhone. This let’s you delete the photos on your iPhone without also deleting them from your iCloud account. How to do this? Go to Settings > iCloud on your iPhone. To confirm action, tap Sign Out again. 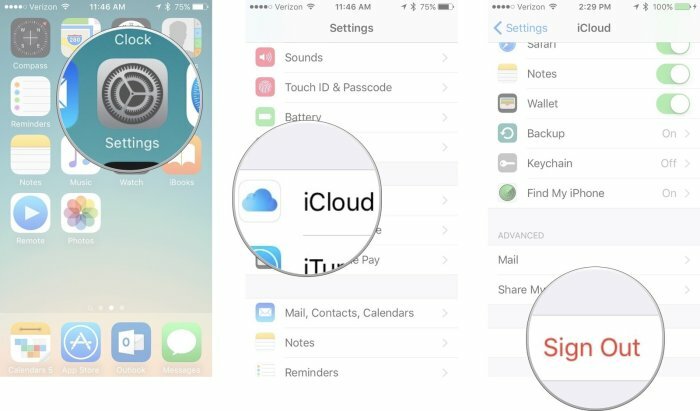 Choose whether you want to keep the iCloud account on your iPhone or not. Please note that you must follow these steps with every device where you want to delete photos from iPhone without deleting from iCloud. Note also that the minute you sign back in to your iCloud account, photo sharing with the device(s) resumes automatically. 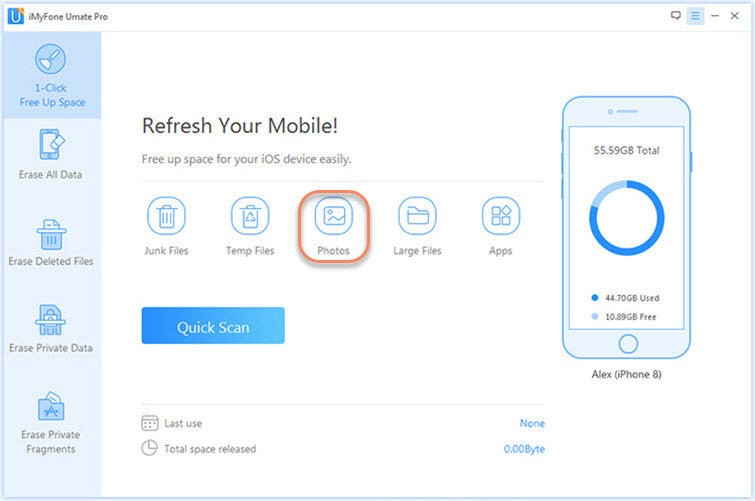 There’s no better and safer and more absolute method of selectively deleting files and sensitive data permanently from your iPhone than to use the iMyFone Umate Pro app. If you want the process to be hassle-free and still be able to keep your original photos, then we recommend it. Absolutely.